Steigenberger hotel at the airport is the perfect place to start a holiday, to do business, or to pamper yourself in a luxury hotel close to all Frankfurt attractions. 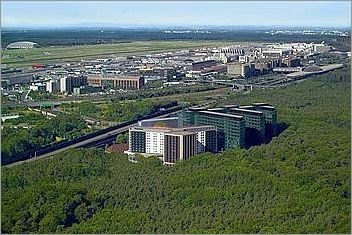 Located at the edge of Frankfurt's city forest, about 1km from the airport, this is one of the best choices when you arrive or leave from Frankfurt international airport. The hotels offers 550 rooms and 20 suites. Visitors can choose from standard, deluxe, executice and family rooms. The suites offer the most comfort in a luxury ambience. Do you have to wait a few hours for your connecting flight? Day use rooms are available from 7am to 6pm for weary travellers. Don't worry about the closeness of the airport, all rooms have soundproofed windows, you won't hear much noise from the planes and the motorways. * All rooms are soundproofed; a full bathroom, TV, coffee & tea making facilities, phone, internet and Wi-Fi, safe and minibar belong to the standards. * Desks with working lights are included in deluxe, executive rooms and suites. * The Steigenberger Airport Hotel Frankfurt offers certain discount rates like early bird special, best available rates which include breakfast and a 3 for 2 package (third night is free). * The stylish restaurant "Faces" invites with international flair. Dine à la carte, discover unique dishes from worldwide cooking cultures. Open Monday to Friday from 6pm to 11pm. 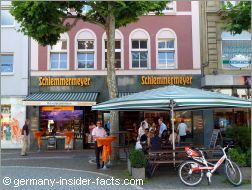 * The historic restaurant "Unterschweinstiege", located in a former forest lodge, offers traditional German and Frankfurter specialties and seasonal dishes. A huge terrace invites guests in summer to relax in the green environment of the Frankfurter Stadtwald. Open Monday to Saturday from 11:30am to 11pm, on Sundays from 10:30 am to 11pm. * The breakfast restaurant "Five Continents" is open from 6am to 10:30am and offers a comprehensive breakfast buffet. * Finally, the Bistro-Bar "Con.nex.ion" is open 24 hours a day. Starting from a light breakfast to a quick lunch, delicious cakes and snacks, visitors can end their day with one (or two) of the diverse spirits and cocktails. 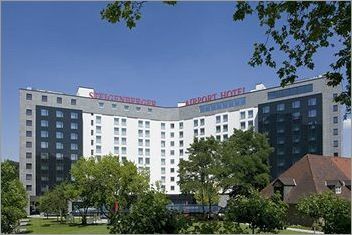 * The Steigenberger Airport Hotel Frankfurt is a perfect place for business meetings, conferences and celebrations. * 38 meeting rooms cater for a small meeting for 4 persons up to large functions with several hundred people. * Modern conference technology as well as great service and delicious cuisine are self-evident. * The "Open Sky" Wellness area offers relaxation after a long day of meetings or sightseeing in Frankfurt. Arriving from a long international flight? Spend yourself a massage or a visit in the sauna. The views from the balcony over Frankfurt are stunning. 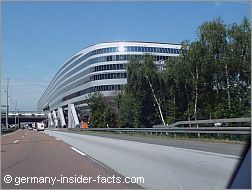 * 24 hours free airport shuttle - buses run every 15 minutes from the hotel to Frankfurt airport (Terminal 1, Terminal 2 and the train station), and back to the hotel. The bus ride takes about 5 to 10 minutes. 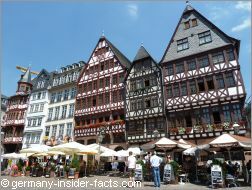 From the trainstation you will be in the city centre of Frankfurt within 10 to 15 minutes with the S-Bahn. * Bike rentals for those who want to get a dose of fresh air in the city forest. * Check-in from 3pm, Check-out by 12 noon. Although this airport hotel is a typical business hotel, leisure travellers and families are welcome to enjoy the pleasant ambience.